PAX RIVER, VA. --- The second MQ-8C Fire Scout unmanned helicopter conducts its first test flight Feb. 12 from Naval Base Ventura County at Point Mugu, Calif. The first aircraft completed its initial flight in October 2013 and has flown 66 hours to date. 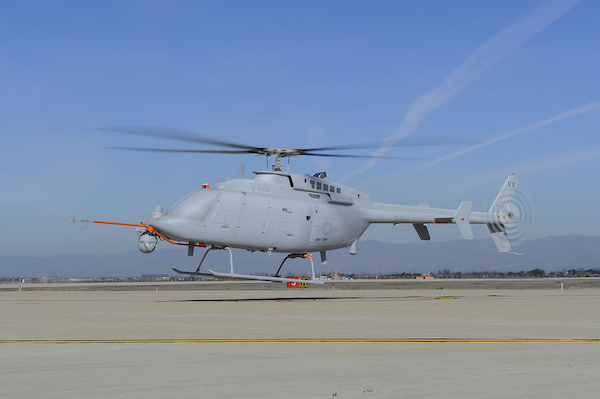 The MQ-8C air vehicle upgrade will provide longer endurance, range and greater payload capability than the MQ-8B, which is currently deployed aboard USS Elrod (FFG 55) in the Mediterranean.